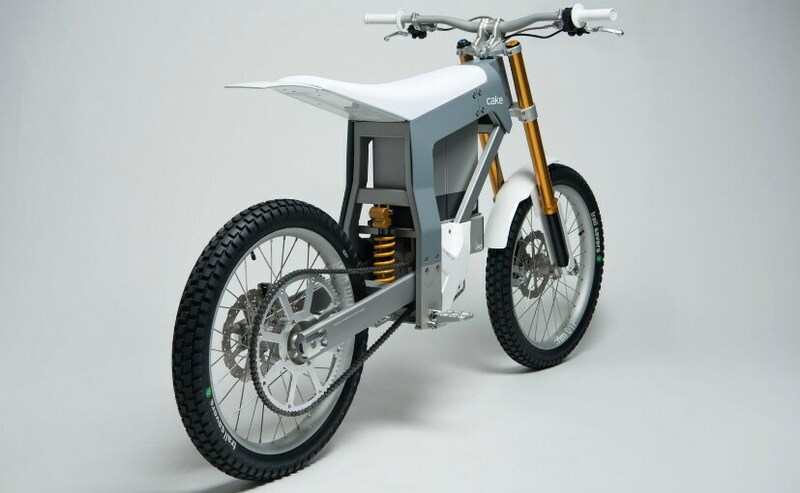 Cake is a Swedish electric motorcycle manufacturer specialising in production of electric off-road motorcycles. 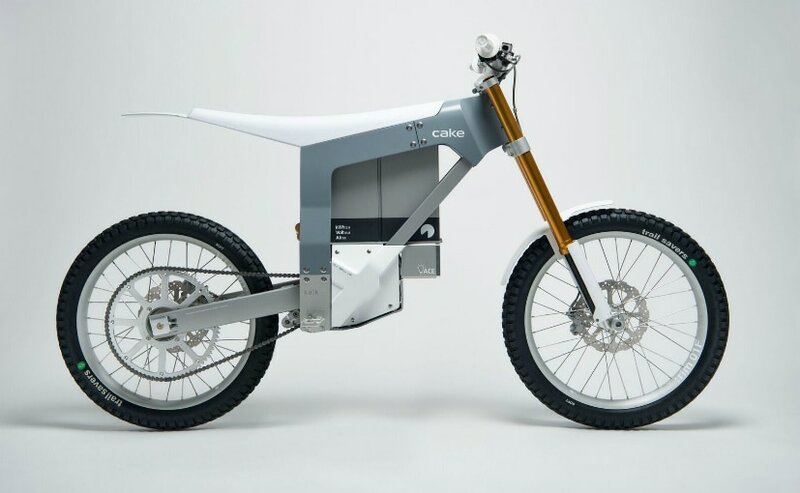 Swedish motorcycle manufacturer CAKE has introduced a new, electric, off-road motorcycle, called Kalk. The Kalk is a high-performance and lightweight electric motorbike which is set to change the way off-road motorcycle riding is looked at. The Kalk weighs just 70 kg, and is powered by a 2.6 kWh lithium-ion battery pack which pumps out around 20 bhp, and with a range of around 80 km on a single charge. The Kalk's top speed is also around 80 kmph and its motor makes 42 Nm of peak torque. 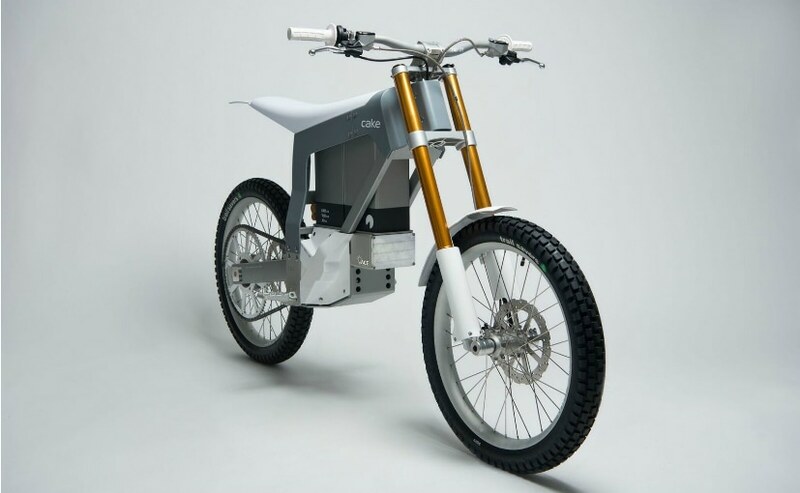 The electric motorcycle runs on Ohlins suspension, with a 38 mm upside down front fork offering 204 mm travel and is adjustable for high-speed compression, low-speed compression and low-speed rebound. The rear suspension is also from Ohlins and features 7-step rebound adjustment, 16-step low-speed compression. The Cake Kalk was designed completely in-house, including axles, hubs, sprockets and even the tyres. The bike features three riding modes, the first called Discover. This is the ideal mode for those new to off-road riding, with the maximum speed limited to 45 kmph. The second is the Explore mode, for longer rides out on the trail, while the third is the Excite mode, providing maximum speed, power and acceleration. The Kalk's frame is built out of aluminium, CNC jointed and welded, while the body is made of carbon fibre. The Kalk is available for pre-order, but only 50 units are currently planned for production and buyers interested in purchasing the Kalk will need to make a deposit of $1,000 (around ₹ 63,000) and the bike will cost $14,000 (around ₹ 8.9 lakh).